Not all companies are the same. Therefore we don’t suggest a cookie cutter approach when assessing our clients’ needs. 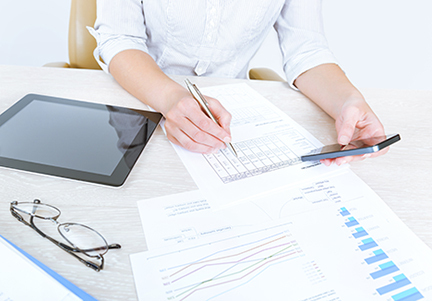 We understand that clients in certain industries will need unique reporting features, pay categories, and deductions to meet the needs of their company. Some will need a full Human Resource Package. Some will need “Pay as you go” workers compensation insurance. Others will desire AFLAC supplemental insurance policies for their employees. We will work with you to pinpoint your company’s needs and get you going in the right direction so you can focus on what’s really important. At Queue Payroll, we offer comprehensive, payroll processing plus your choice of add-on features. With our “Full Tax” service, we make your payroll tax payments and government filings for you on your behalf. We believe the culture of your company is very important and each new hire should have something to bring to the table. Put your human resources in our hands and we will find you the best possible candidates to compliment your team. Our accountants are experts in tax law and can help you manage your business’ finances accordingly in order to ensure accuracy and compliance. Contact us today to see how we may assist you. WE'RE ON TOP OF IT SO YOU DON'T HAVE TO BE. The complex jungle of pre-tax and post-tax deductions as well as the corresponding payments and reporting can be burdensome on a business owner. We can help with those and even make the payments for you. PAYROLL ON YOUR TIME, AT YOUR FINGERTIPS. Keeping track of your current payroll and human resources department just got easier with Queue! Easily update payroll information and view employee benefits from anywhere with our easy to use accounting system.